It's been quite sometime since I last shared about Rilakkuma. He used to be my favourite to craft, along with Totoro, but these days, Gudetama seems to be taking over his position. 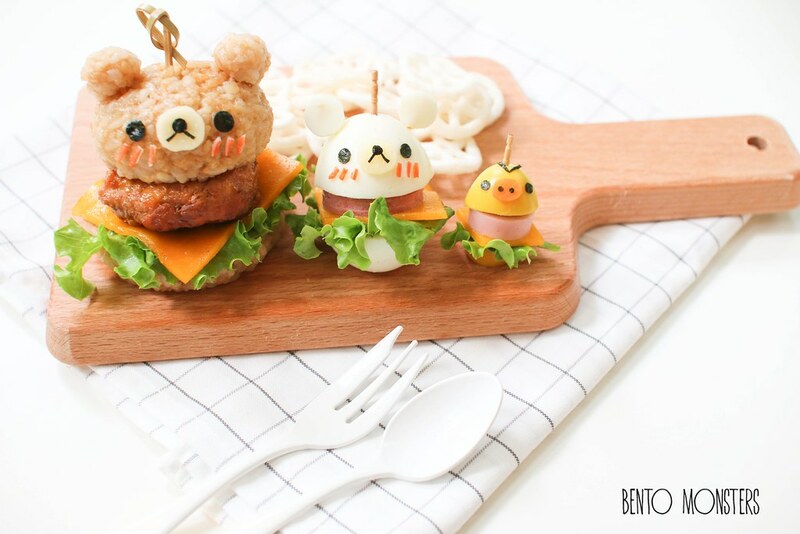 Rilakkuma, Korilakuma and Kiiroitori burger set but none of them were made out of burger buns. 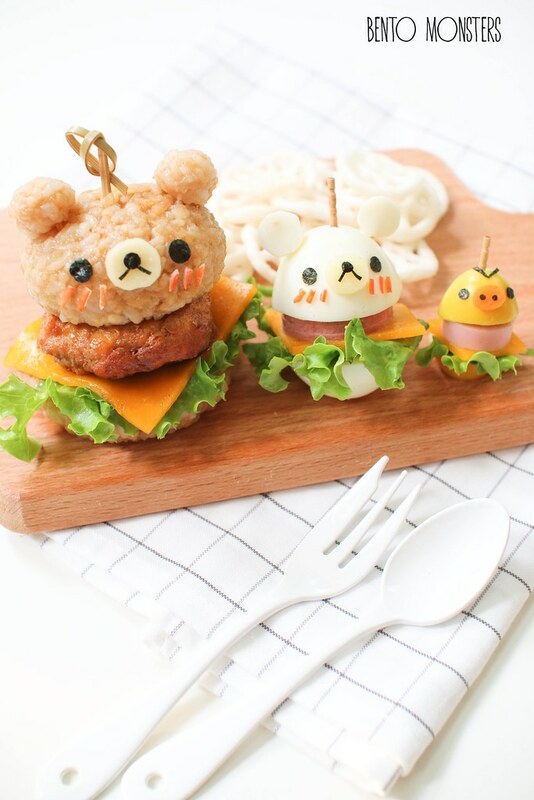 Rilakkuma was made out of rice, Korilakkuma was made out of chicken egg and Kiiroitori was made out of quail egg. I was actually rushing to get this done before fetching LT from school that day, could not make it in time, so I left out the blush on Kiiroitori. I ended up being late by just a minute that day and LT was a little upset and told me not to do it again, lol. I've to manage my time better so this will not happen again. This was my brunch, I have this bad habit of skipping breakfast on weekdays. I know I should not but I'm always busy doing chores and cooking lunch in the morning, I always end up eating only at lunch. 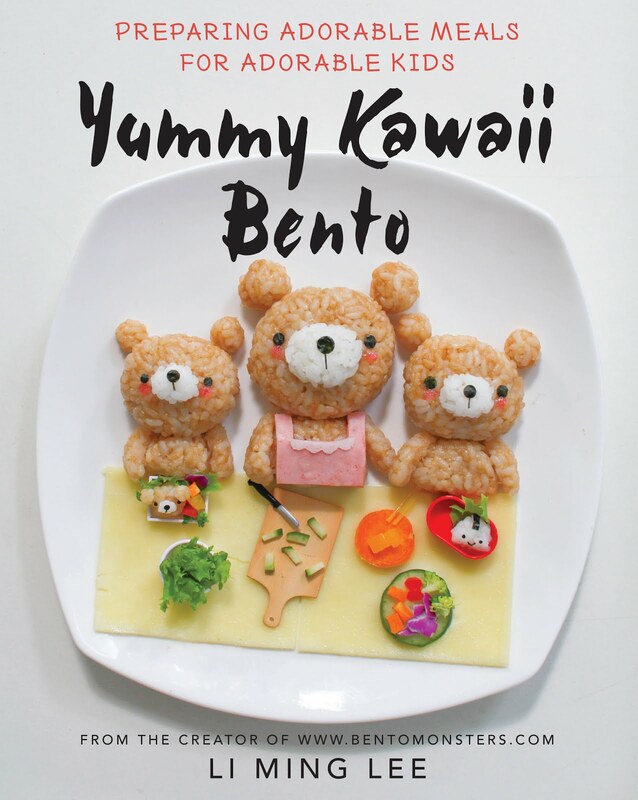 Rilakkuma was made out of bread, cheese, nori and ham. 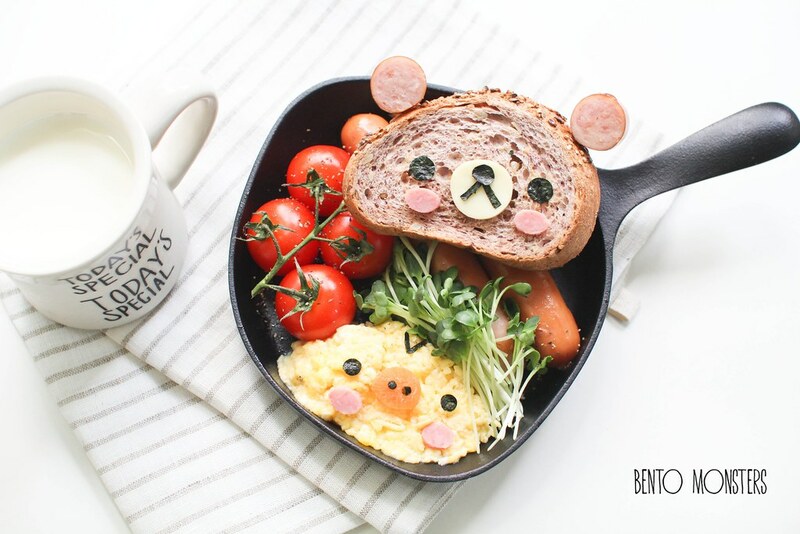 Kiiroitori was made from scrambled eggs, carrot, nori and ham. 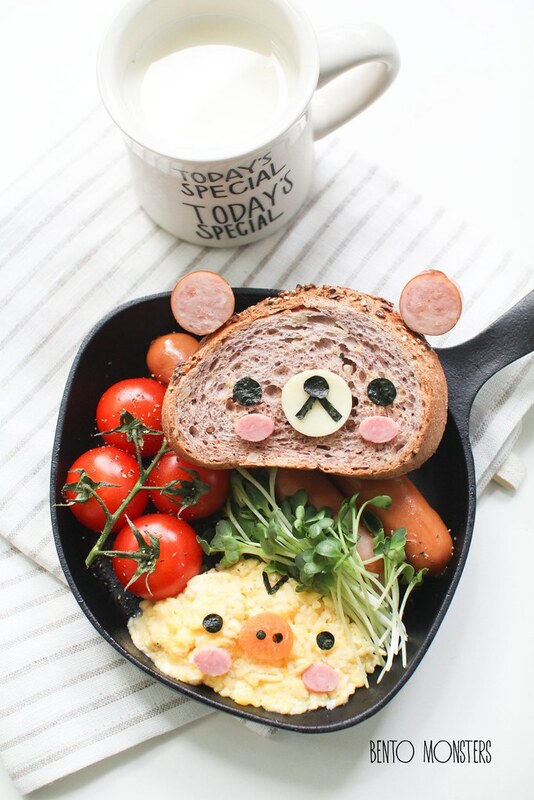 I ate this with sausages, tomatoes and wasabi sprouts. I'm in love with wasabi sprouts lately, it has this light spicy taste and it is now a regular item in my grocery bag every week. aww.... super cute! Look at it brighten up my dad! Yay, for exams being over! 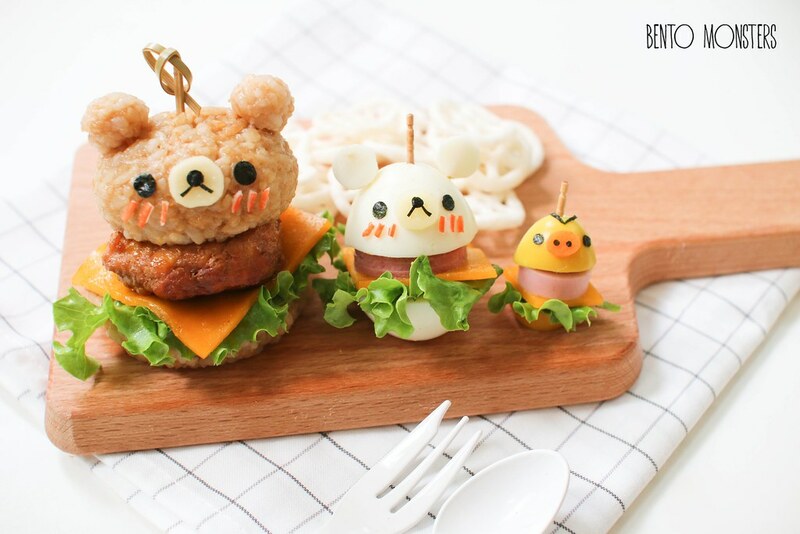 Both versions are soooooo cute and yummy, I love them! What did you use for the "fillings" (meat) for the burgers? Awwww, tk u so much. I used chicken tofu patties recipe for this, but you can use anything fillings you like. These look lovely! 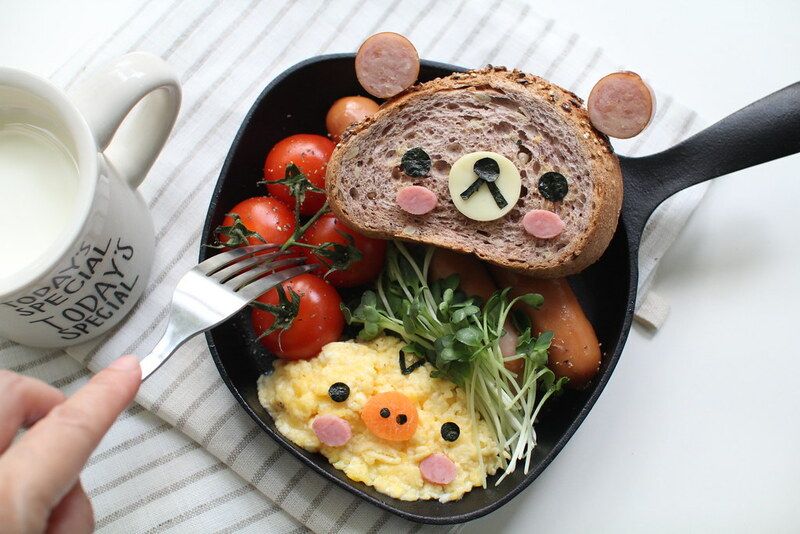 I used to like Rilakkuma a lot too but hardly make kuma bentos these days, LOL.